Joseph Schumpeter was without a doubt one of the most notable economists of the 20th century. He studies under Friedrich von Wieser and Eugen von Böhm Bawerk, which established knowledge about and connection to Austrian Economics, which would last for his whole life. Schumpeter taught at numerous universities, among which are the ones of Graz, London, Oxford, Cambridge and Harvard. He first gained international recognition by publishing his “Theory of economic Development”, in which he elaborated the central position of entrepreneurship for economic progress. By their continuous search for improvements to already existing solutions, entrepreneurs become both the creators and bearers of “Creative Desctruction”. Unfortunately, change is seen in a not so favourable light these days by many people, since it demands short-term adaptions of their behaviour. However, it can not be disputed that “Creative Destruction” has made (and will fortunately continue to make) socieities richer and more prosperous. 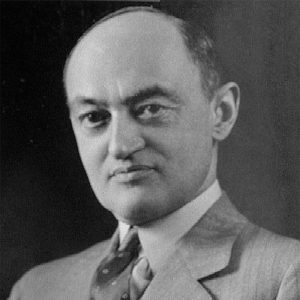 Schumpeter’s late work “Capitalism, Socialism and Democracy” sparked great debate and controversy, in which he saw the collapse of capitalism coming and proposed ways to reverse certain trends and prevent the collapse of our social system. The fact that we are still living in a predominately capitalist society nowadays and that capitalism – since the breakdown of the Soviet Union – is largely viewed as the only viable economic system known to man at this time, would certainly have made Schumpeter happy.